Makers Rock Van Halen II Album Artwork and Giveaway! Makers Rock is back! This time the theme was 1960's and 70's album artwork and I recreated the cover for Van Halen II. Check out the video below and then scroll down on this page to enter my giveaway to win it! 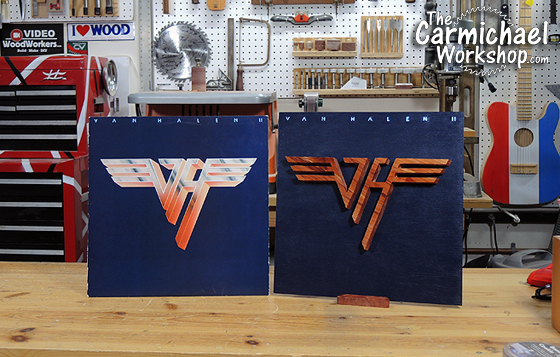 I am giving away the wooden Van Halen II album artwork with stand. The real vinyl album is NOT included, because I will be needing that this Summer! Enter the Giveaway Below Using Facebook or Email! This giveaway is for legal residents 18 and older in the USA ONLY (sorry International friends). You must enter before 11:59pm Pacific on March 30th, because I'm drawing a winner randomly on March 31st. The random winner will display automatically in this Rafflecopter widget thingy and I will notify the winner by email. The winner will have 48 hours to respond before I move on and select a different winner. Good luck and rock on! Click here to watch all of the Makers Rock 2017 Album Art videos! Disclaimer: YouTube and Google are NOT affiliated with this giveaway in any way. Makers Rock is back! On Friday, March 24th, watch YouTube for 1960's and 70's album art project videos from several makers. Watch this video for more info and subscribe to all of the channels below so you don't miss any of them. Oh yeah, we are giving them away too! 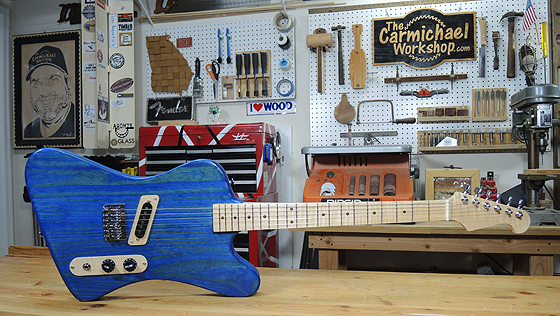 Click here catch up on last year's 2016 Makers Rock event! 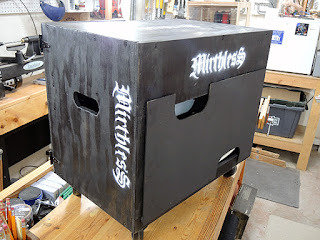 I made a DIY Road Case for my son's band Mirthless. 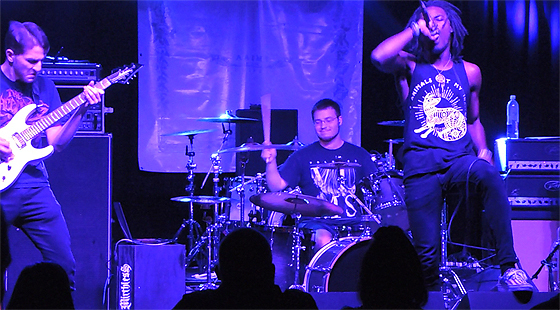 Check out this video of the build plus footage of the band using the road case live on stage in Atlanta. 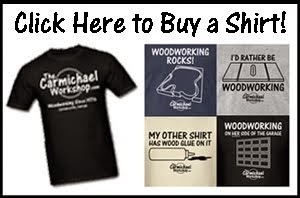 I enjoy making projects that combine my woodworking and live music hobbies. 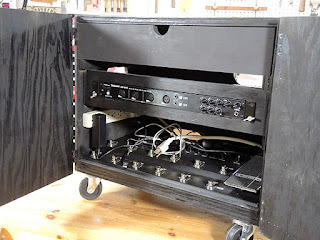 When my son needed a road case for his audio gear, I got to work. The road case holds his laptop in a drawer, a digital audio interface, and the guitarist's effect pedal board. The laptop controls the pedal board for the guitarist and plays their backing tracks, which are sent to the PA system and the drummers earbud monitors. I could not find a good latch or hasp to hold the two front doors closed in the middle, so I made one. 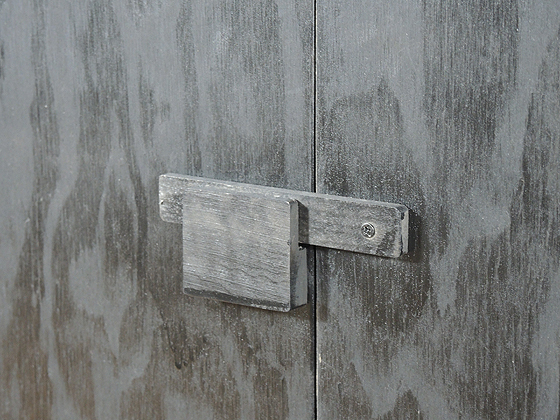 It's basically a lever that is held in place by a notched piece of wood, similar to something you might see on a fence gate or barn door. The back of the case has a removable panel that is held on by Velcro. It also contains the cables inside the case during transport. Hand-holds cut into each side and 3" casters make it easy to move the road case around. 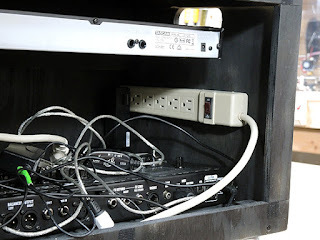 I mounted a power strip inside to power all of the gear. 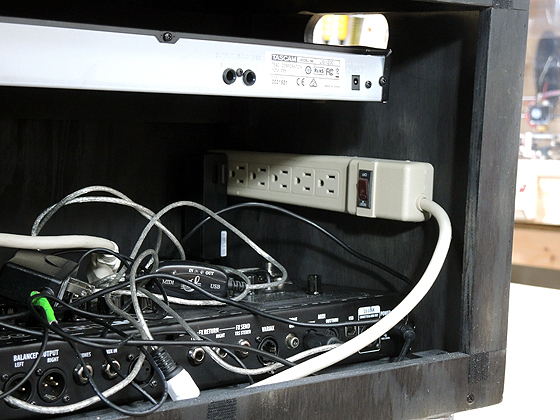 All of the inputs and outputs are easily accessible by removing the back panel. The road case worked out well at the first live show. You can see it in the bottom-left corner of this picture. It should last for many more gigs, at least until the band hits the big time and can afford the expensive stuff! Click here to visit the Mirthless Facebook Page!